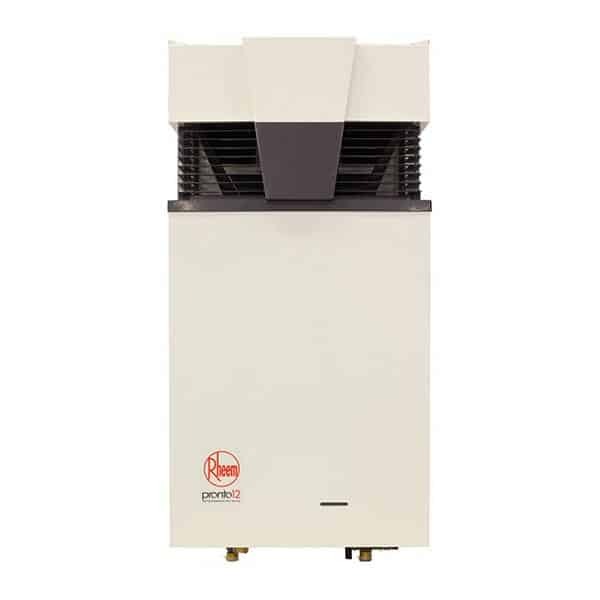 Rheem Pronto® instantaneous water heaters deliver category-leading performance. Along with 6 Star energy efficiency, Pronto also features an inbuilt hydro-electric generator that lights the gas as soon as the hot water tap is turned on – so no electrical connection is required. The Pronto series is available in 12l and 16litre sizes to cover small and medium sized households.